BMW launched its X6 in 2008 dubbing it "the world's first ever Sports Activity Coupé." The SAC moniker was adopted because the vehicle combined the high ground clearance and all-wheel drive attributes of an SUV, with the body styling of a coupé. Despite mixed reviews regarding its styling upon launch, BMW says the vehicle has since racked up sales of over 150,000. Now the German automaker has announced it is giving the X6 a facelift – although you'll have to look pretty closely to pick the changes. The refreshed X6 sees a redesigned front end, with the standard fog lights now set in matt finish surrounds in the upper area of the outer air inlets, and newly designed bars that are angled in the lower section to make the new-look grille stand out. BMW says the new X6 will also be the first vehicle in its segment to offer the option of adaptive LED headlamps instead of the standard bi-xenon units. The use of LEDs also extends to the rear if the vehicle where the tail lights are now two LED-fed light banks. The engines on offer are the V8 xDrive50i delivering 300 kW/407 bhp, and the xDrive35i in-line 6-cylinder petrol engine with 225 kW/306 bhp. Meanwhile the inline 6-cylinder diesel engines available for the X6 are the xDrive40d delivering 225 kW/306 bhp, and the xDrive30d with 180 kW/245 bhp. Based on the EU test cycle, the xDrive40d and xDrive30d boast fuel economy figures of 7.5 liters per 100 kilometers (31.3 mpg US) and 7.4 lp100km (31.7 mpg US) respectively. All are coupled to a standard 8-speed sports transmission. Other changes include new paint finishes – two non-metallic and eight metallic colors – new leather trim color options, optional three-seater rear bench, and 19-inch light alloy wheels as standard, with 20-inch versions available as an option. Another option available for the X6 in Germany is an M Sport Edition package. This includes 20-inch M light alloy wheels, electrically adjustable sports seats with memory function, stainless steel pedals, M driver footrest and adaptive LED headlamps. The package also adds an additional 11 kW and 30 lb-ft of torque to the X6 xDrive35i, and 30 kW and 30 lb-ft of torque to the X6 xDrive50i. The adaptive LED headlamps will also be standard in a new X6 M, which packs a V8 engine delivering 408 kW/555 bhp paired to a 6-speed M Sport automatic transmission. BMW will have the new 2013 X6 in showrooms before mid-2012. Pricing is yet to be announced. New looks and new engine choices feature in the car, which is expected in UK showrooms in June. Exterior revisions aim to emphasise the road presence of the X6, which BMW describes as a Sports-Activity Vehicle or SAV. Styling-wise the foglights have been moved up to border the bumper air inlets while the signature kidney grille has been made bolder. Its bars match the bottom of the headlamps to emphasise the car's width. The rear end gets new sets of twin LED light strips, mounted horizontally again to give the car a wide, purposeful look. There are new body paint finishes too. The X6M model gets LED adaptive headlamps, offered as an option on other versions. New to the engine line-up is a 381bhp six-cylinder diesel with a triple turbocharger, dubbed by BMW as the world's most powerful standard in-line six-cylinder diesel. Fitted in the new X6 M50d model, this unit boasts a 5.3-second 0-62mph, out running some eight-cylinder versions, yet returns fuel consumption figures of almost 37mpg. Other engine choices include diesels of 245 and 306bhp, and petrol units offering 306 and a range-topping 407bhp. Changes inside the cabin of the new models include more colour options for the leather upholstery. BMW says in the three years since the X6 was launched more than 150,000 have been sold across the globe, far more than the manufacturer expected to produce. Overall, the LED lights are widely used for automotive lighting, and will come out with even more innovation in the future. For more information about theLED car lighting used for automotive, please visit iJDMTOY.com, thecar LED expert. There has never been a lack of designs that provide us with hints on what the cars of the future are going to look like, with Japan and German car makers making the most interesting and realistic-looking concepts, that could get into mass production in the near future. One such car is the BMW i8 concept, which was unveiled at the 2011 Frankfurt Auto Show, and it's expected that the Bavarian car manufacturer is going to start producing it in 2013. It's also known as BMW Concept Vision Efficient Dynamics, and is part of BMW's "Project i"
This is a plug-in hybrid, that is powered by a high-performance 1.5-liter, 3-cylinder combustion engine, providing 220 horsepower and 221 lb-ft of torque, that works in tandem with two electric motors. This combination provides excellent performances, reminiscent of the best sports cars in the world, but also makes for a very good fuel efficiency at the same time. So, it goes from 0-60 mph in 4.8 seconds, with a top speed of 160 mph. The fuel consumption is rated at 70 mpg, and it has an ultra-low emissions rating of 99 grams per kilometer, according to the manufacturer. You can travel up to 20 miles before the lithium-ion batteries need to be recharged, which is one of the aspects of the i8 that must be improved. Inside, this coupe can accommodate 4 people, with two pairs of sports leather seats in the front and the back. The control panels and all the instruments are arranged in a way that allows you to enjoy a sporty and aggressive ride, and still be in control of the vehicle. There are three-dimensional displays which give information on engine speed, navigation and entertainment functions, as well as battery levels. The exterior design makes it look as a real futuristic car. It has a lightweight, aluminum chassis, with the sunroof, windows and windshield made of polycarbonate glass. The doors and the roof are completely transparent, which gives you a clear view of the inside and provides a lot of light into the cabin. But, the innovations don't stop here. The BMW i8 features something that is rarely seen on cars – laser lighting. There are laser headlights instead of LED lights, which makes the car a lot more energy efficient than most similar concept cars. This amazing sports car should become available for purchase in 2014, and according to some speculations, it will definitely cost over $150,000. The BMW X4 will pull a variety of exterior and interior components from its X3 Platform to produce a new X4 sporty SUV model. BMW has targeted the Spartanburg, South Carolina USA facility for this special SUV (Vehicles will also get exported to Europe). The X4 was originally classified as a Sport Activity Sedan (SAS) and BMW had plans to produce this vehicle at a much earlier date. They never gave up on the idea of producing a sportier and more profitable version and thus the X4 impetus for its creation. Some are calling the X4 the X6's little brother with a likely debut in calendar year 2013. Although the market seems saturated with inefficient SUV's, BMW still anticipates selling a bunch of these sporty SUV's due to rising global demand for its X-Family vehicles. BWW had begun work on the X4 as early as September/2011 under the codename F26. The plan all along was to share its platform with the X3 SUV. 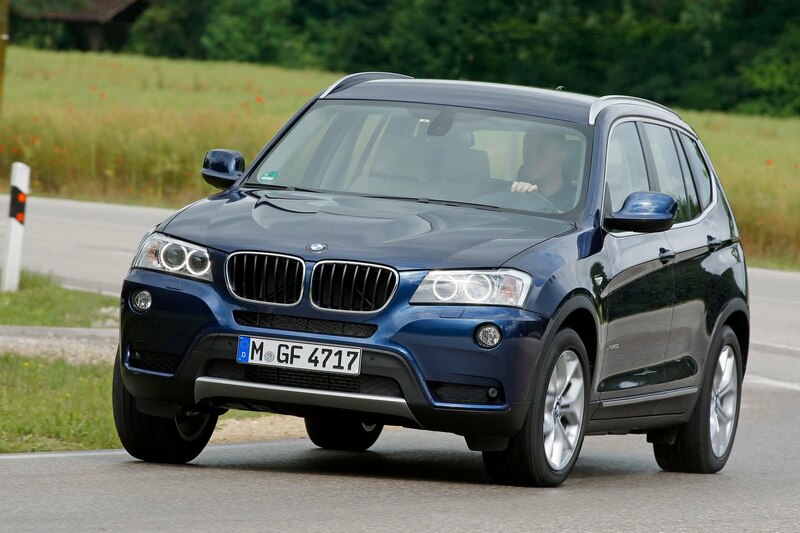 In January/2012, BMW officially communicated plans to expand the X-Model Platform with the new X4. BMW made plans to invest nearly $900 million USD to fulfill a 350,000 unit production volume. BMW also expressed a need to increase its capacity by 240,000 vehicles annually to accommodate the new X4. The BMW X4 is not about size but rather its strong visual appearance and cool sports features. The powertrain will be shared off the X3 platform. Also, there will be a 4 and 6 cylinder engine available in both gasoline and diesel fuels including a six and seven-speed dual-clutch transmission. There will be an option for an eight speed Steptronic transmission as well. BMW's official release date concerning the X4 is slated for the start of 2014 but production could occur sooner. There are a bunch of BMW entusiasts that are hoping it is sooner than later for the new X4 Crossover to hit the dealerships. BMW – Set for its debut at the end of next year, the 2014 edition and popular X5 SUV is slated for numerous updates including significant weight savings and improved fuel economies over its current model. The weight saving technology was generated from the BMW 5-Series (F10). The X5 will ride on a modified version of its current vehicle platform. Both six and eight cylinder engines will be available including hybrid and diesel options. The BMW X5 F15 SUV will be enhanced significantly in length and will capture an elongated roof design. Due to its increased length, a third-row seating option will become available on the 2014 BMW X5 which will likely improve its marketing efforts in the United States. Fine wood trim, metallic accents and leather coverings will flavor the interior while an iDrive display and a 3-spoke steering wheel design enhances the overall X5 package. A downward transcending roofline and distinguished looking front grille will be evident on the X5 model. The vehicle rear will show again its familiar L-shaped tail lamps while retaining the dual exhaust outlets. Its overall profile has been left intact since the X5 originally came to fruition back in 1999. The new BMW X5 (F15) will capture an enhanced looking blunt nose like other recent BMW products. The headlights will elongate to mate with the grille similar to the current 3-Series. New vertical vents at the trailing edge of the front wheel have captured our imagination and we remain undecided on whether they are functional or purely aesthetic. Its left side small spoiler is anticipated to feature a more curved appearance. The BMW X5 engine options will likely include a V8 engine. Its highly anticipated X5 "M" model will come out one year later and a 2015 model year will integrate a highly tuned BMW based suspension package. The X5 is not as aggressive in design as the X5 "M" vehicle seen in the fall of 2012, however, with the entire late vehicle marketing efforts this is not unexpected. BMW will produce its new 2014 BMW X5 (F15) at its Spartanburg, South Carolina, USA plant in late calendar year 2013. The X5 will hit the dealer showrooms as a 2014 model. BMW is in the midst of releasing its enhanced Z4 Roadster which will arrive in the Spring of 2013. The key updates include new exterior features, a wide range of interior changes (finishes and materials) along with a brand new Hyper Orange design offering. The result is a stunning car that combines the sportiness of a coupe with the sheer joy of a convertible. It will be a well finished, functional and luxurious vehicle. The BMW Z4 Roadster will continue to be available in the United States with one four-cylinder and two inline-six power units. As standard, the engine is connected to a six-speed manual with an optional eight-speed automatic gearbox if available. The BMW Z4 has a classic two-seat roadster look combined with the aesthetics and features including a 2 piece powered retractable hardtop. The exterior xenon headlights of the BMW Z4 Roadster comprehend a neat slim design and protrude well into the front wheel arch areas. The side indicators are newly designed. Other new improvements include the Hyper Orange Design package and detailed paint finishing. In 2013 the BMW Z4 will add an auto-dimming interior and aesthetically pleasing exterior mirrors. With its classic looking long hood design combined with its short deck proportions, the BMW Z4 will leverage its design, weight and performance over real world road situations. The enhanced BMW Z4 has changed over the years as it has progressed from a lightweight roadster to now a premium/luxury open-top touring vehicle. One of the truly unique features is BMW Z4's power retractable hardtop. The apparatus functions flawlessly and is very responsive. The vehicle benefits because the cabin is protected from both road and wind noise coming from the outdoor environment. All weather conditions are truly kept to a minimum with the hardtop feature. At the end of the day the 2013 Z4 remains the flagship and key sports car produced by BMW. Models (3): sDrive28i, sDrive35i, or sDrive35is. sDrive35 = + BMW Assist, Premium hi-fi sound system.